Combine ingredients over ice in a copper mug and top with ginger beer. 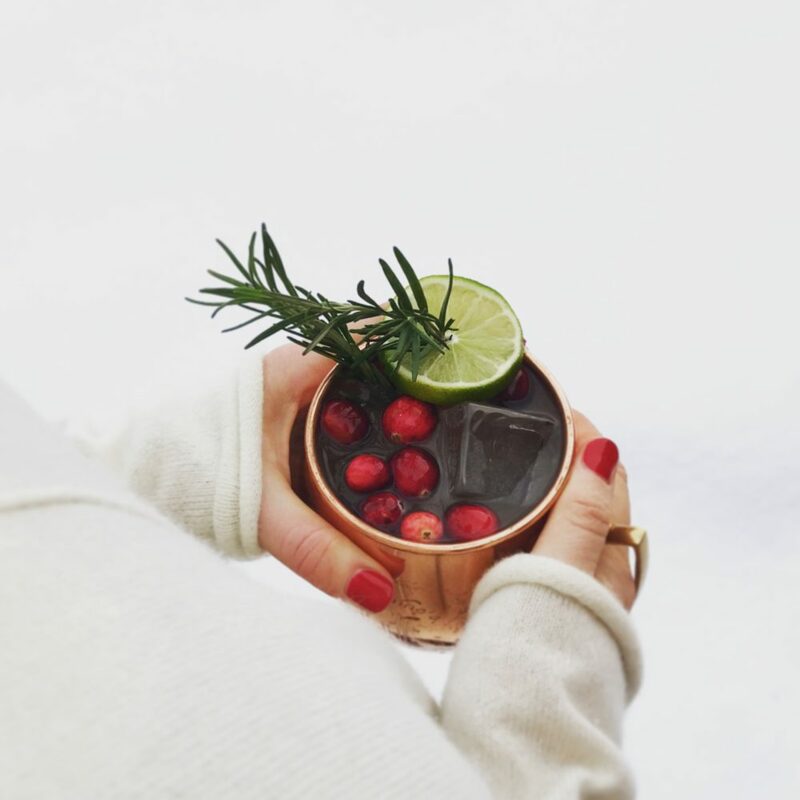 Garnish with a sprig of rosemary, lime wheel, and floating cranberries. Also try skewering the cranberries and coating with sugar for an extra festive look. A ‘Buck’ is a category of cocktails that contain spirit, citrus, and ginger beer.